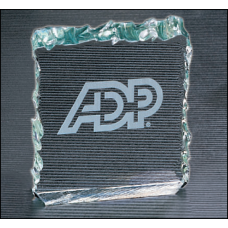 A3903 3/4" thick crushed ice acrylic paperweight in jade or clear acrylic. 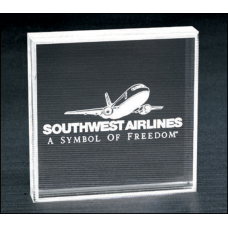 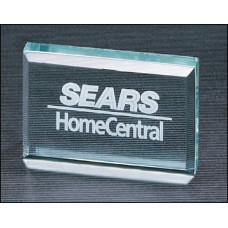 A3905 3/4" thick rectangular acrylic paperweight. 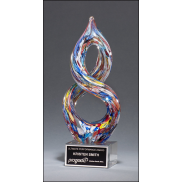 A6375 3/4" thick polished acrylic paperweight with a marble design center in choice of 3 colors. 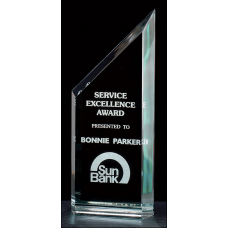 A6412 Small Zenith Series 1" thick polished jade acrylic free-standing award. 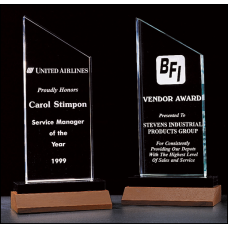 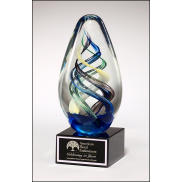 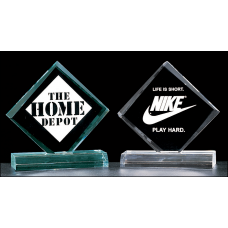 A6414 Large Zenith Series 1" thick polished jade acrylic free-standing award. 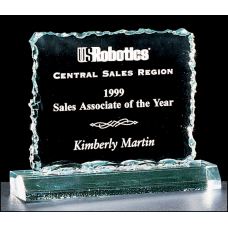 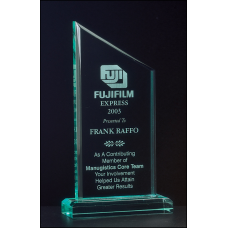 A6530 Small Zenith Series 3/4" thick acrylic award on acrylic base.